Whenever it comes to constructing a home or any other building or you might be replacing the roof. At first, you will need to see the advantages and disadvantages of flat type roof and pitched type roof. The factors which will make the decision will include your personal preferences as well as the requirements of your construction site. Flat roofs are usually compact in design which is a suitable solution for roofing of the garages and the extensions of areas. Flat roofs are actually not flat their design is a bit sloppy so that the rainwater can slip away from the roof if the flat roof is rising one inch over every 12 inches then this will be called as low slope roof. If you don’t want to spend too much money on your roof then the flat roof is the one for you as it does not demand a larger amount of construction and the labor costs. Moreover, it can be completed in a shorter period of time. A flat roof can create more space for your stuff like you can move your air conditioning unit or you can install solar panels. One of the disadvantages of flat roofs is that their performance starts to deteriorate with time. They might require some maintenance from time to time which can be costly. However, with advancements in technology, new materials have been developed. The lifespan of flat roofs can be increased up to 30 years by using those materials for roofing purpose. Problems like water drainage may arise if the roof is not constructed properly and it can be very difficult to remove water from the roof. The drainage water problem can also ruin your painted walls if the rainwater is allowed to stay on the roof. Materials used for the construction of pitched roofs are more weather-resistant and durable. The look of a pitched roof is so elegant and eye catchy that your house can be differentiated in a second from rest of the neighborhood. With the pitched roofs there are no worries of rainwater drainage, special thanks to its sloppy angle that avoids pooling. Pitched roofs are constructed in a way to allow natural ventilation between the outer atmosphere and the building which greatly aids in preserving the energy. They are made at an angle so that they can withstand against snow, ice, water and also the winds. There is no doubt that pitched roofs are beautiful but they also cost more than the flat roofs. They take a longer time to get installed. The complexity of design causes more labor and additional material cost. Pitched roofs put more weight on the foundations of the building, for a pitched roofed house it must have deeper foundations inside the ground moreover replacing a flat roof with a pitched roof might not be a good idea for the same reason. Whenever it comes to construction, it has to be accurate, good looking and on the top of all it should be affordable. 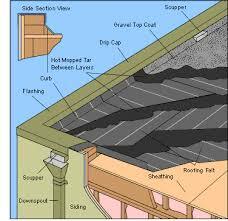 JNS Roofing and Construction Inc. is one such company which will provide with all the comfort regarding your roof. The company is promising when we talk about loyalty, like other roofing companies they will not trick you for long and costly projects which can take forever to complete and will cost many times more than the original cost. It’s the promise by the company that they will take honesty very seriously and will provide with the best quality work and minimizing the cost. You can visit this website for more details www.jnsconstructioninc.com.